sailboat. : Gifts all the way from sunny Australia. A few days ago I received a lovely parcel from Tennille who lives all the way over in sunny Australia! We’ve discovered that sea mail from Australia to the UK takes a super long time, but that's okay, I'm bit weird and love the anticipation of receiving something lovely in the post! I wonder where this little parcel has been, I bet it’s been on a bit of an epic adventure! Tennille knows me so well and everything that she picked out for me I absolutely love and I’m super happy and so grateful. Tennille is stunning, she has a blog and although she hasn’t posted a lot recently I’d love it if you would follow her. She’s beautiful inside and out and I'm so happy that we've been able to become friends through blogging even though we're on opposite sides of the world. 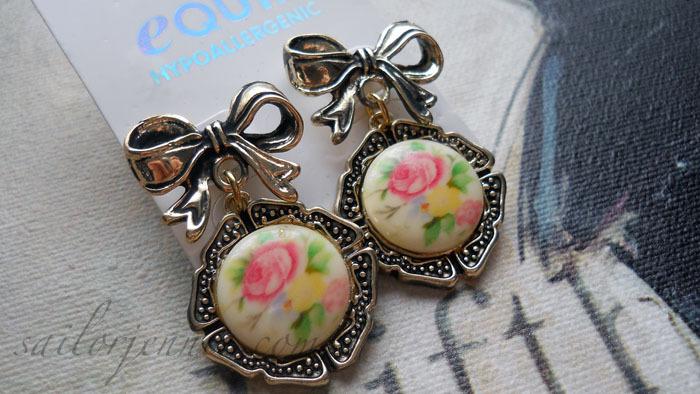 How adorable are these earrings? The bows are so cute & the little floral charms are super pretty and perfect for the spring and summer although I'm sure I'll be wearing these all year round! I also love the sets of little stud earrings, she knows I'm a sucker for all things nautical! I love the blue and white striped studs so so much & the red sparkly lips are so fun! I've bought an electric blue summer dress that I think would look super cute with the bright red lip earrings! Keeping with the nautical theme that I love so much this silver anchor necklace and super cute anchor brooch with a vintage feel will fit into my collection perfectly! You can never have too many pieces of anchor jewellery when you prance around the internet calling yourself Sailor Jennie! Tennille also sent me some wonderful make up items that I wouldn't be able to get my hands on here in the UK. I've been lucky enough to receive some lovely make up from her before and I really love everything. Part of me wishes that we could easily access every brand wherever you are in the world but then that would totally take all the fun out of make up swaps! This hand cream smells like holidays. Seriously, it's a holiday in a tube and how completely adorable is the packaging?! I've kept this within arms reach ever since I opened the box because I love it that much. A good hand cream should be a staple in my skincare collection but I'm super rubbish and always forget so I think this yummy smelling one will encourage me to use it regularly which is good because I want my hands to look as nice as possible for as long as possible! 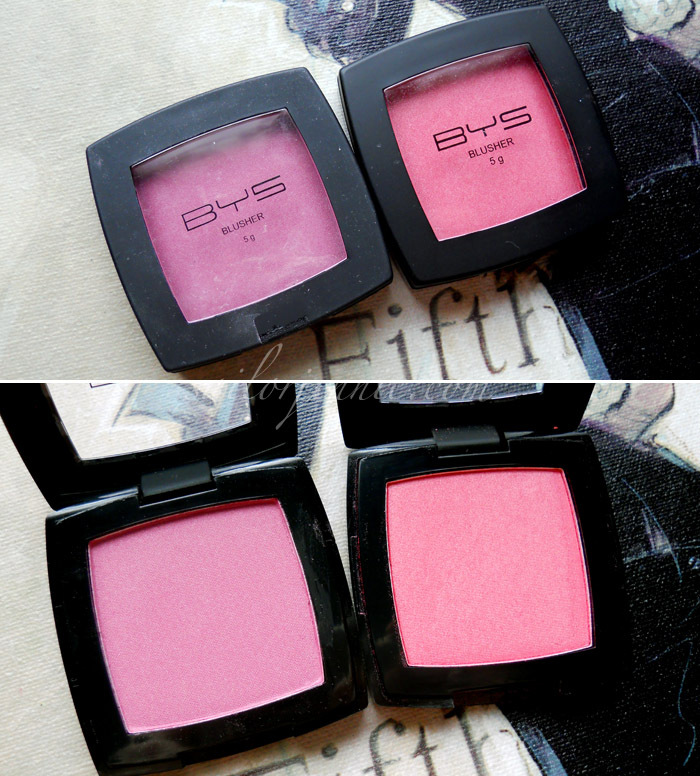 I am in love with these BYS blushers, in the first picture they look quite similar but when swatched they look completely different and I love them both! 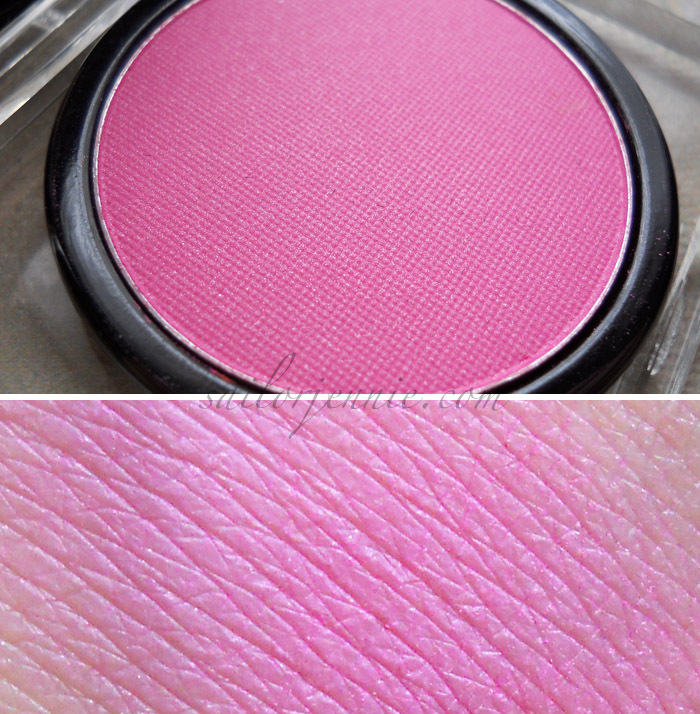 The first shade is called Pink Velvet and it's such a pretty pink with slight purple undertones and I don't think I have anything quite like this in my collection already. The second shade is my favourite, it's called Fierce Fuchsia and it's a super pretty watermelon pink with a little bit of coral thrown in for luck. I'm terrible at describing colours, can you tell? The texture of these is perfect, they're creamy and so easy to blend which I love. The packaging is super simple which I like and the colours are beautiful. I think that this is a brand available in the UK although I've never seen it anywhere but I'm sure that it's a really affordable make up line! Pink Velvet & Fierce Fuchsia. 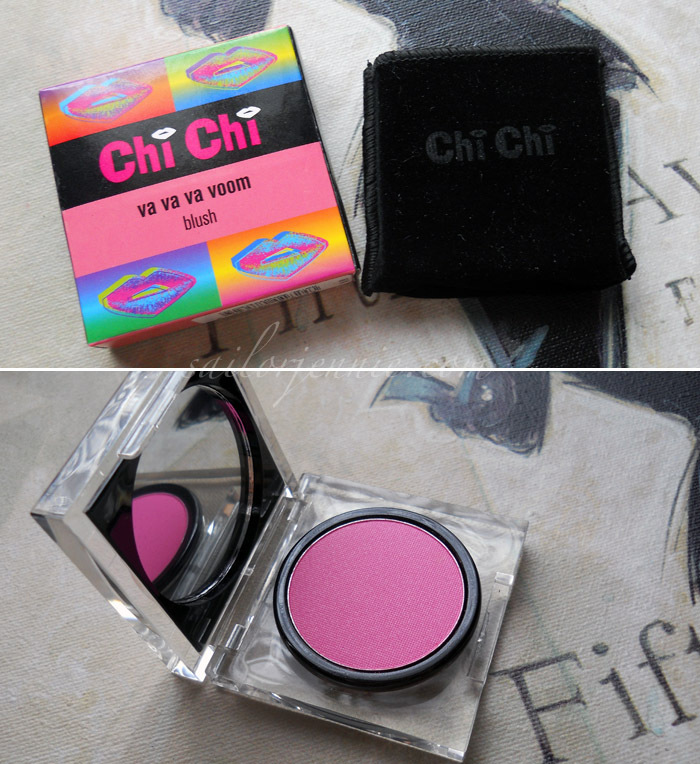 You Aussie's get products with the best packaging, I mean look at this Chi Chi Va Va Voom blush, it comes with it's own little pouch! And just look at that colour, it's so beautiful. It really reminds me of Illamaqua Promise cream blush but in powder form and I can't wait to combine the two because I think it'll look so pretty. I especially love warm toned pinks so this is absolutely perfect for me and it even has a little mirror inside the lid so I'll definitely be popping this in my make up bag! 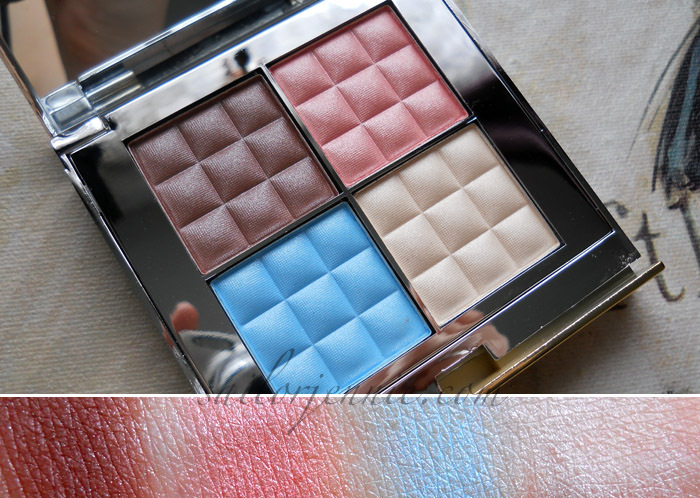 My absolute favourite thing is this eyeshadow palette from Modelista because the colours are so pretty and colourful. The pale blue and the creamy white highlight shades are a little powdery but with a damp brush they're so pretty and I think the colours are worth that extra step. 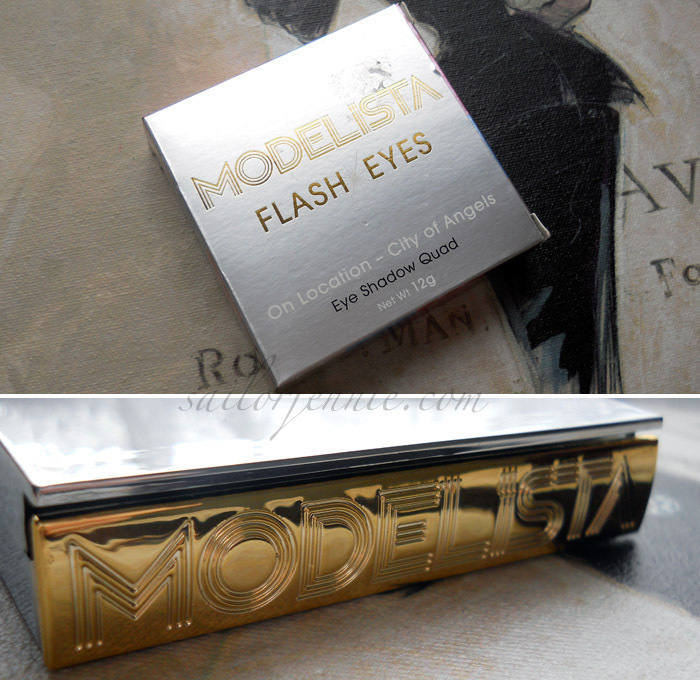 Modelista have beautiful mirrored packaging and there's something about it that makes it feel a little more luxurious. I have a few blushers and now this palette from this brand and I really love them all. If you can get this brand easily where you live then you're very lucky and I'm officially jealous because we don't have anything this nice here! Thank you so so much Tennille, I absolutely love everything and I'm working on a box of goodies from the UK to send to you soon! Have you lovelies made any friends through blogging? Have you ever done a make up swap with anyone? Do you think it's a good way to try out some different brands? the blushese are so pretty! Yeah you can get BYS in a few places - Lloyds pharmacies sell it, and also cheaper shops tend to have odd bits it. It turns up in unexpected places ;). Such a lovely package to recieve!!! Wooow how generous! Fantastic gifts. 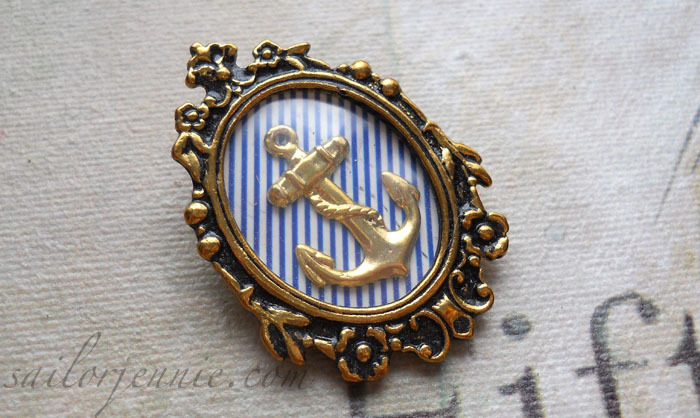 I love nautical things too, the brooch is my favourite! 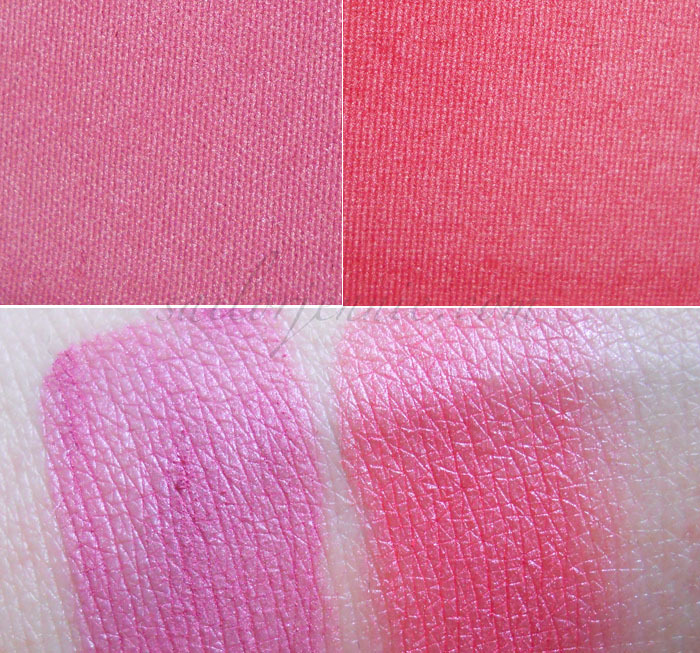 Loving all the makeup too, the Modelista quad is so fantastic, great shades!! 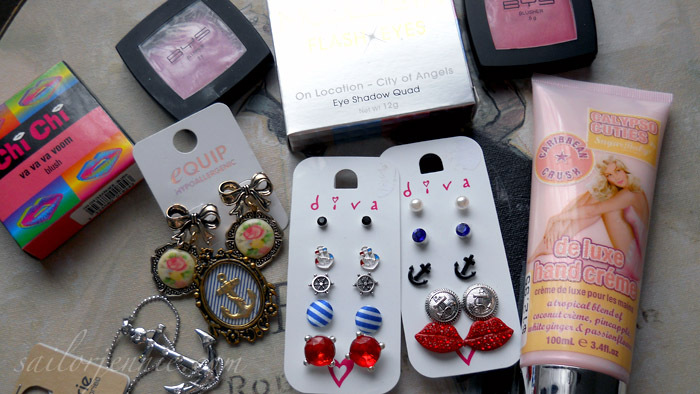 Lovely things, Diva in Aus is just like Claire's Accessories here. @Victoria - Ooh I know, we've been exchanging packages for a little while now. It's generally been quite expensive for Tennille to post things to me using air mail so this was quite a bit cheaper for her. I wouldn't want her spending a fortune on postage if there's a cheaper option available to her! For some reason it's pretty cheap to post things to Oz from the UK so I want it to be fair! All your goodies look so cute, you lucky girl! I have swapped a few times through makeupalley, it always went well. 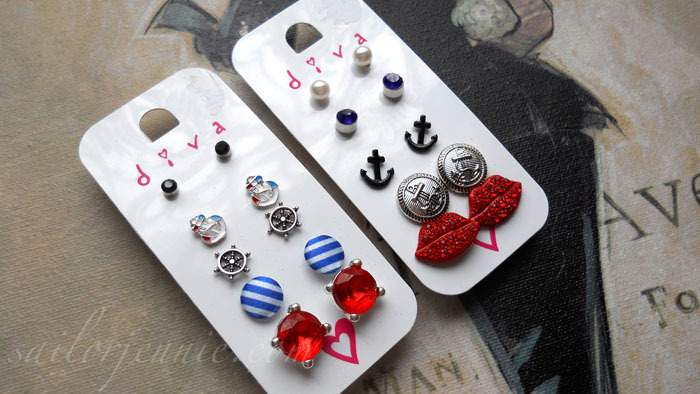 those nautical earrings are amazing! What a lovely parcel to receive. Beautiful products! And reminds me that I can actually buy some of those in New Zealand! I forget about all those brands sometimes, like Chi Chi. haha sea mail would take a LOOOONG time? How long did it actually take? When I was overseas recently i sent a parcel by sea from cambodia to home (australia) and it only just arrived this week... 4 months later. lol!! Those earrings and anchor things are so cute! @Emma - It took about 3 months but I think it was a fair bit cheaper for her so I don't mind waiting a little longer. I wouldn't want her spending a fortune on postage if there's an alternative! @Nicola - Haha we definitely should! I've missed her blog a lot too! What a lovely package to receive! 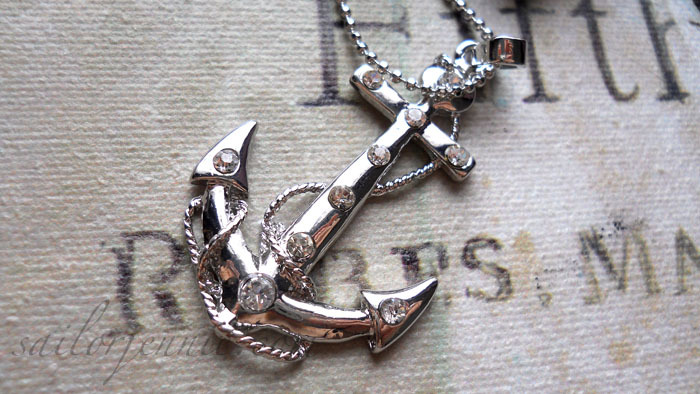 The earrings are adorable...love the nautical theme...the anchor necklace is stunning!